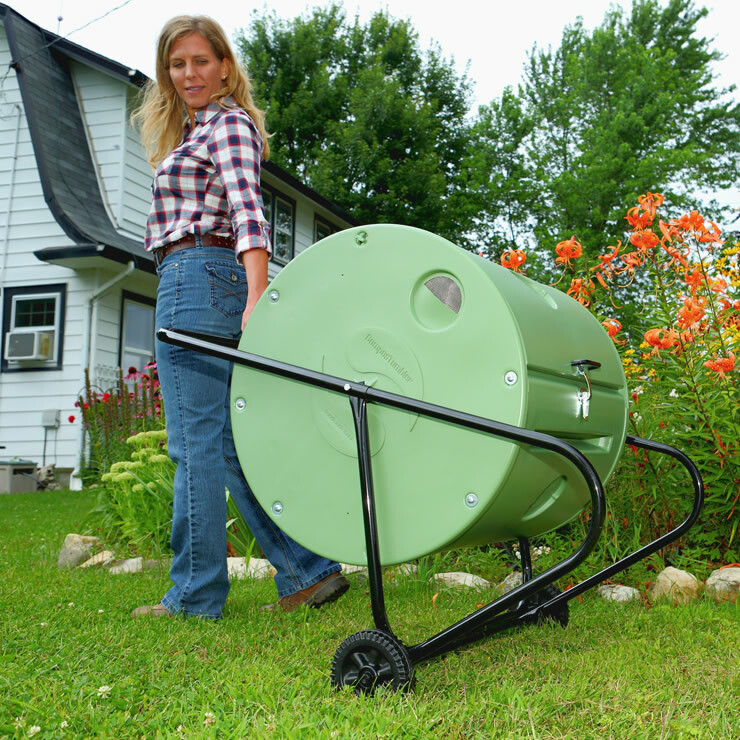 Money-Back Guarantee: All Mantis Composters come with 60-Day Risk-Free Trial when you buy direct from Mantis. Nutrient-rich, ready-to-use compost is just a few weeks away with a ComposTumbler from Mantis. Leaves, grass clippings and most kitchen waste can become organically rich compost in as little as a few weeks. Mantis Composters help you create nutrient-rich material to enrich your flower and vegetable garden soil with organic fertilizer. 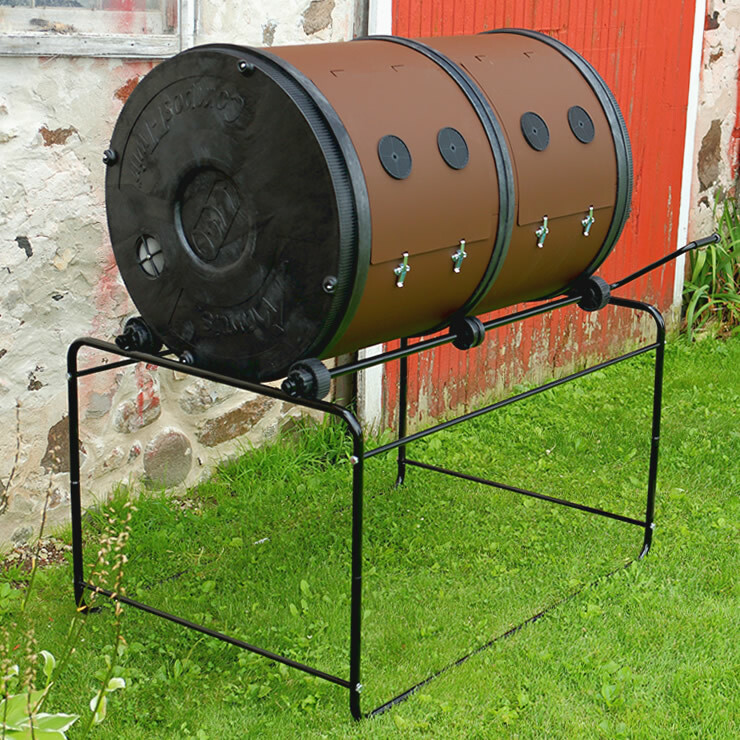 Simple, fast, clean and easy – the Mantis ComposTumbler way to make compost. Makes twice the compost in only a few weeks. * The Mantis ComposT-Twin dual compost tumbler holds almost 25 cubic feet of raw material (10 bushels in each chamber). The largest composter on the market. Make continuous batches of compost; compost can cook in one bin while new material is added to the other bin. Turns easily and so easy to unload right into a wheelbarrow or cart. *Time to finished compost is approximate; depends on ambient temperature and combination of materials being composted.